Let’s just get this out there right away: Austin, Texas-based rock and roll band The Black have some old influences, musically speaking. 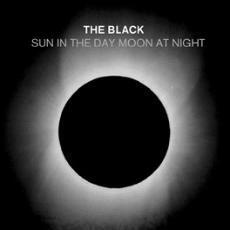 The quartet – which features two former members of the indie poppers Voxtrot – just released a new full length, called “Sun In the Day Moon At Night.” The album’s 10 tracks range from hard-charging, blues-influenced rock and roll reminiscent of the 1950s and 1960s to sad-eyed country full of lingering pedal steel. Like any young band experimenting with a range of styles, some work and some just fall flat. Case in point: The Dylan-esque “Throwing Away” features some nice instrumental work all around and the necessary addition of a harmonica melody, but the two-beat jumble of “Sun In the Day” just picks one energy level and stays there. The tune does feature some nice harmony work, but I can’t help thinking that they could have come up with a better chorus melody somehow. “Sun In the Day Moon At Night” isn’t a bad album by any means, though. “Freeway (Exiled)” opens the album with an unexpected bang, and you almost feel like you’re cruising down the 101 in a convertible with your pompadour-sporting, Ray-Ban-wearing friends as you ditch school on a Friday. The album’s packaging looks great too; it’s surprising to find a tiny CD pop out instead of some long-lost vinyl treasure. Much like the technique their parent band Voxtrot employed with guitars, The Black’s sound is mired in layers of reverb, to great effect. However, that ringing sound isn’t just limited to the guitars on “Sun In the Day Moon At Night”; practically everything rings. You can easily picture drummer Matt Simon and bassist Jason Chronis laying down the hoe-down-inducing opening to “Love Don’t Need A Reason” in some empty roadside bar long after closing time, thanks to the low-sheen production aesthetic running throughout the 10 tracks. Some audiophiles may complain about this lack of polish, but let’s face it: It would sound weird if the album’s saxophone-featuring homage to the shuffle, “Casey Jones,” sounded like some over-produced Lady Gaga or Soulja Boy song. “Sun In the Day Moon At Night” isn’t a perfect record, but it’s a great start for this twang-loving Austin quartet. Despite their occasional missteps, it’s refreshing to hear a band blend so many presently divergent strains of American music. Rock and roll and the blues and country and swing all have their established places, but hearing the ways these genres overlap and play off each other can be fascinating, which The Black reminds us of with “Sun In the Day Moon At Night.